Keeley Electronics’ most famous pedal is the C4 Compressor, a Ross Compressor inspired gem that is still one of the best compressor pedals available today. Not content with having just one outstanding pedal in that category, Keeley released the GC-2 Limiting Amplifier, a dbx 160 style pedal that offers studio flavored compression/limiting. Now comes the Keeley Electronics Compressor Pro, the pinnacle of Robert Keeley’s long-standing experience making quality compression pedals. And this is a pedal that more than lives up to the expectations I had for it. Keeley Electronics first showed the Compressor Pro and Winter NAMM 2014. While I knew this would be a pedal to keep an eye on, it would be yet another long year before Keeley would show it again at Winter NAMM 2015 in near-complete form. It was finally released shortly after, and now Keeley Electronics is making compression pedal history all over again. The Compressor Pro shouldn’t be mistaken as simply an upgraded “Pro” version of Keeley’s original C4 Compressor as it actually has more in common with the GC-2 but with a greatly increased feature-set. The Compressor Pro features the same THAT Corp. 4320 chip, 1:1 through Infinity:1 Ratio range, and similar Gain & Threshold controls to the GC-2. In addition to the GC-2’s default Hard Knee setting, the Compressor Pro also offers a Soft Knee option for smoother compression. 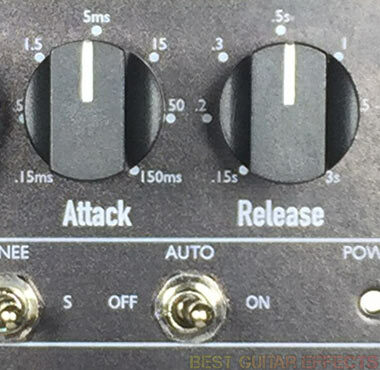 There are also dedicated Attack & Release controls and a convenient Auto mode for allowing the Attack & Release to respond naturally to your playing without being affected by the values of their respective knobs. A handy row of Gain Reduction LED’s and a Threshold indicator LED also gives you a visual indication of what’s going on. A summary of specs and features is below. 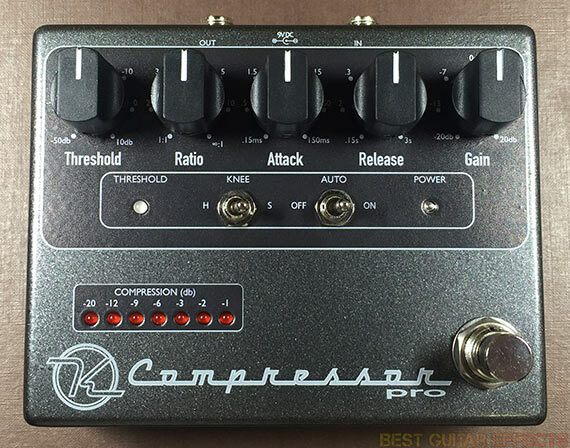 Then onward to our Keeley Electronics Compressor Pro review to find out if it’s the best compression pedal around. Device controls for Threshold, Ratio, Attack, Release, Gain, Knee, & Auto. True-Bypass – No tone or signal loss when OFF. While there have been a few times a pedal I was excited about let me down, this is one of those situations where a pedal met and surpassed my expectations. The first thing I noticed about Keeley’s GC-2 is just as apparent here, the Compressor Pro is incredibly transparent. While old CA3080/LM13700 based Ross/Dyna Comp style compressors (including the C4 Compressor for that matter) seem to add a little something to your tone – and that’s arguably part of their charm – the Compressor Pro is on par with the most transparent compression pedals available. That’s due in part to being a VCA (Voltage Controlled Amplifier) compressor which are generally known for their quieter, more transparent performance when compared to the aforementioned Ross/Dyna Comp/C4 style of OTA (Operational Transconductance Amplifier) compressor. Then there’s also the fact that Keeley went all out with a THAT Corp. 4320 chip and other premium components. But beyond the compression type and spec-sheet hype, the bottom line is that the Compressor Pro is more comparable to a studio grade compressor in terms of sound quality (and features) than nearly any other compression pedal out there. One of the key things I like about the Compressor Pro are its Ratio options as I wish more guitar pedals would include a full Ratio range. Most of the knob’s range is dedicated to more subtle Ratios with fully counterclockwise to noon ranging from 1:1 (no compression) to a still moderate 4:1. Once you cross noon you’ll reach 5:1, 10:1, and then jump to Infinity:1 for extreme compression and limiting. As I mentioned before, the Compressor Pro is all about transparency. (That should be the key buzz word you get out of this review: “transparency”.) Even at the heaviest “brick-wall” setting of Infinity:1, the Compressor Pro doesn’t crush your tone into oblivion when it clamps down. For most front-of-signal-chain purposes though, most guitarists will probably have the Ratio knob set somewhere to the left side of half-way for subtle compression and around noon or a little higher for moderate to slightly heavier amounts of compression. If you need heavier squash for chicken pickin’, the 10:1 Ratio has you covered. 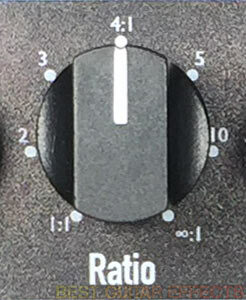 The Threshold knob determines the volume level your signal must exceed before the compression kicks in. You’ll get a visual indication from the Threshold LED when that happens. You’ll also see the row of 7 red Compression LEDs illuminating to show you how much gain reduction is occurring. These visual indicators will be especially beneficial for those new to using guitar compressor pedals. Even advanced compression users will benefit because the rhythm of the lights will help you set your Attack & Release times with greater confidence. I personally like having the combination of audio & visual feedback when using more complex compressors. Having independent Attack & Release controls, the Compressor Pro is already more in line with a studio rack compressor than your typical guitar pedal. What’s more is that the Auto switch lets you bypass the knobs’ settings for a responsive attack and release that varies depending on the input source. Basically, if my understanding serves me correctly, the compression will vary depending on the dynamics of your playing for a very responsive and musical feel. You’ll notice the Compressor Pro responding differently when you’re playing single staccato notes or letting chords ring out. I spent plenty of time adjusting the Attack & Release and switching to Auto mode while monitoring the gain reduction LEDs and listening to how the pedal responded. Simply put, Auto mode sounds great and will most likely produce better results for your playing than all but the most experienced compression users would dial in via the Attack & Release knobs. For many guitarists I imagine this becoming their default setting regardless of how competent they are at dialing in their attack and release times. The Knee switch is an essential addition to attenuating your compression for a variety of uses. Basically, a soft knee is curve for a more gradual attack while the hard knee is abrupt. For guitarists, the Soft Knee will typically be your setting of choice as this yields a smoother, more natural compression curve. Bassists may prefer the Hard Knee when trying to achieve a tighter, more consistent level. The Hard Knee setting is also what you’ll most likely use when using the Compressor Pro for hard limiting duties. Also, if you’re using fast Attack times in general and are really trying to tame any unruly transients or volume spikes, the Hard Knee may be what you need. And that brings me to the Compressor Pro vs GC-2 Limiting Amplifier vs C4 4-Knob Compressor comparison. Basically, Keeley’s classic 4-Knob Compressor is a pedal you’d put in the front of your chain for attenuating your signal before it hits anything else. While it’s a pretty clean compressor that preserves the nature of your instrument, it does enhance your sound with subtle qualities of its own, more noticeable at higher Sustain settings. The Compressor Pro on the other hand, does not; it keeps the sound of your guitar essentially untouched. Again, it’s about “transparency”. While the C4 has its long-standing reputation as a pedal used by many professional guitarists and is arguably still quite transparent in its own right (especially when compared to lesser Ross influenced pedals), the Compressor Pro is simply truer to its namesake in that it is more akin to a rack-mounted unit than a stompbox. If you want dynamic control and sonic presence without a hint of coloration, the Compressor Pro is the winner. The GC-2 Limiting Amplifier is an anomaly as there aren’t too many guitar pedals that have a focus on limiting (although the terms compression and limiting are similar and often interchangeable). Essentially, the GC-2 is more like a Compressor Pro Lite as it is based off the same THAT Corp. 4320 chip and has similar limiting abilities. The GC-2 also compresses similarly to the Compressor Pro’s Auto mode. Now I absolutely love the GC-2 as an end-of-chain pedal for its brick-wall limiting. If you specifically need a pedal for that purpose alone, the GC-2 is still a great choice as the extra Attack/Release controls and Soft Knee option may not be as necessary to you. But if you want the versatility of having an ultra-transparent and more versatile front-of-chain compressor OR an end-of-chain limiter, the Compressor Pro covers both duties. Again, the C-Pro wins. There’s not really much else to say here. The Compressor Pro sounds outstanding and features almost everything you could possibly want in a pedal. The only thing I could wish for is a side-chain input as that would make it even more ideal in the studio (or in my Ableton Live automated guitar rig as I feed audio signals into an external side-chained compressor during performances). But the Compressor Pro greatly exceeds the utility, sound quality, and feature set of most compression pedals while remaining relatively compact in size and should be one of your top considerations if you’re looking for an outstanding compressor for your pedalboard. The Auto mode in particular is so good that I almost wish Keeley would make yet another 3-knob compressor (Keeley Compressor Pro Compact anyone?) that just has Gain, Ratio, & Threshold knobs (like the GC-2) and a Knee switch. For those who just leave Auto mode on all the time, a Compressor Pro “Lite” would be yet another enticing Keeley compression pedal. 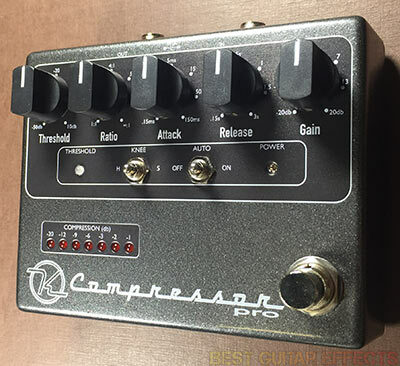 But the extra versatility of the Compressor Pro makes it one of the best all-around compression pedals out there. The Compressor Pro proves that Keeley Electronics is still a force to be reckoned with in stompbox compression. The Keeley Electronics Compressor Pro is a supremely transparent studio-grade compression stompbox. This pedal is hard to beat when it comes to transparent pedal compression. The Compressor Pro also has a complete range of studio-style controls including an innovative Auto mode for greater ease of use. 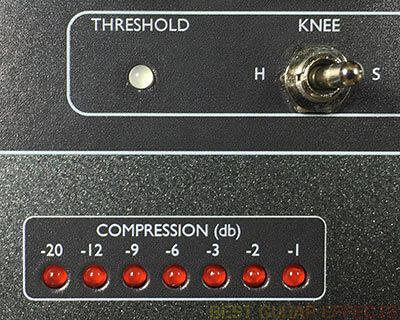 The Hard/Soft Knee options and extended Ratio settings also make the Compressor Pro equally well suited for standard guitar compression or hard limiting duties. I can also imagine some engineers finding handy use for this pedal in the studio for a wide range of compression duties. 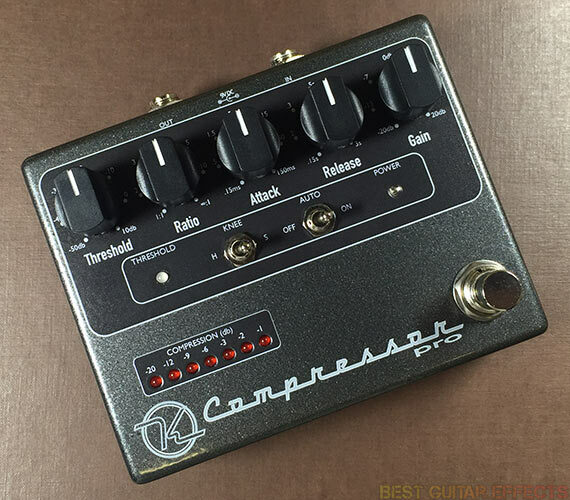 Not only does the Compressor Pro get my vote as the best pedal Keeley Electronics has released to date, but it’s one of the best compression pedals ever created. Try it and hear for yourself. That concludes our Keeley Electronics Compressor Pro review. Thanks for reading. 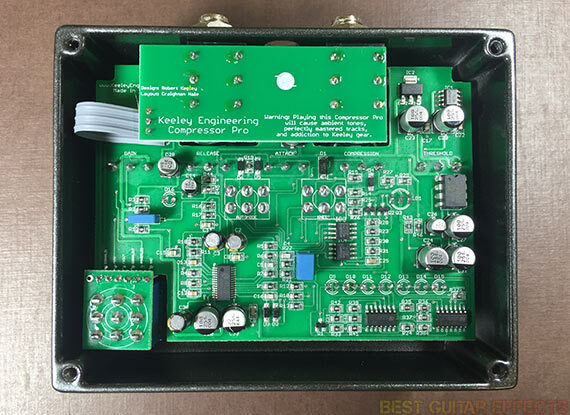 Want to buy the Keeley Electronics Compressor Pro? Thank you for the review! This is definitly the best review of this compressor via internet! Hands down, after testing the Keeley comperssor….it’s the one I’ll be getting over all of the others. Responsive. No noticable “coloring” of tone. It’s the shizzle of compressors.